The journey from San Buenaventura north through the settlement of Stoney Flats (now Casitas Springs) to the town of Nordhoff (now Ojai) was a long and sometimes treacherous trip. The buggy trail switched back and forth across the flowing San Antonio Creek at least a dozen times on its way to the Ojai Valley. The trail was commonly referred to as Creek Road and by today’s standards, it was indeed a scenic road. For many years, travelers had found a beautiful spot to stop, camp, rest and water their horses. It was a cool refreshing place just on the outskirts of the small town of Nordhoff, a place that was shaded by many mature oak trees and a creek that ran nearby. It was widely known as a comfort spot, and the location would become known as Camp Comfort. It was the coming of Mr. and Mrs. E.P. Foster to the town of Ventura that would save this wooded campsite for future generations to enjoy. Foster had come to Ventura in 1872 to become a rancher. Later, he would become president of the Bank of Ventura which sold to Bank of Italy (now Bank of America). In 1874, Foster married Orpha Woods, and together they had 10 children. carriage, drawn by two beautiful horses, to the Camp Comfort area, long before it was a public park. The land on which Camp Comfort was located belonged to a gentleman named John Hodson who owned many acres in the area. Hodson was in the process of cutting thousands of cords of wood from his acreage and selling it and the thought of cutting down the stately oaks that shaded the comfort stop much disturbed the Fosters, so they decided to prevent it, if possible. Meanwhile, with the nation accepting the fact that the automobile was here to stay and not just a passing fad, many new roads were being built. 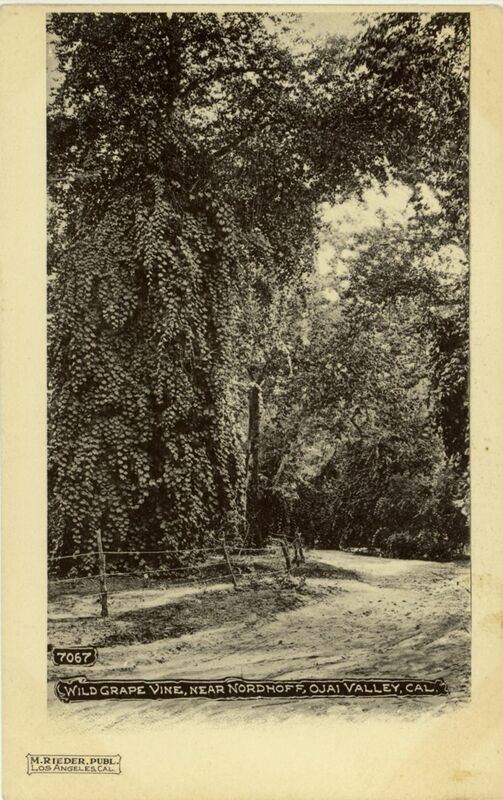 The first organized automobile race was being sponsored by the Vanderbilt family on the East Coast, and out here in the West, Foster was going before the County Board of Supervisors with his idea of creating a public park along the narrow dirt trail so that all the people could relax and enjoy the shade. The parcel of land consisted of 20 acres of “wild land.” The Board of Supervisors negotiated with the owner to purchase the property and succeeded. The final price was $2,500 in gold. People enjoyed swinging on the grape vines at Camp Comfort. Speaking on behalf of the citizens of the small town, the paper continued, “The Honorable Board of Supervisors, in this noble act, has the Ojai’s approval and appreciation, and also its lasting gratitude.” The area was officially named Camp Comfort and it was the first county park. The Fosters did not satisfy their desire for parks with Camp Comfort. They purchased 65 acres from the Ayers family along the banks of the Ventura River to create another park (now at the north end of the Ojai freeway). This park was to be designated as the Eugene T. Foster Memorial Park in honor of the young son of the Fosters who had died at an early age. The Fosters purchased additional acreage from some of the surrounding property owners to increase the size of the park. 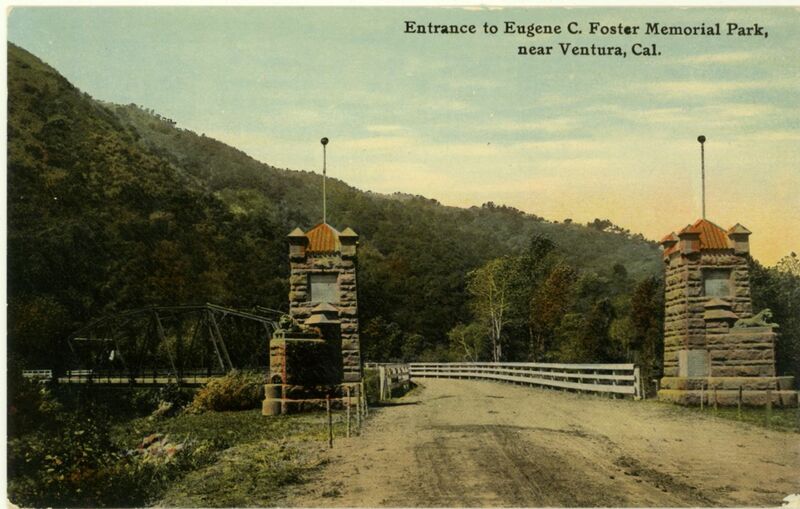 The entrance was through a great stone gateway over a bridge crossing the Ventura River. Foster Park was a popular camping ground from the start. There were barbecue pits, camping spots, swings for the children, a swimming hole in the river and, amongst the sycamores on the other side of the river, a place for campers to locate their tents and remain all summer if they desired. Over the years, a small settlement developed just outside the entrance to the park and became known as the town of Foster Park. The town received an official post office in December of 1952. However, within 17 years, the whole town was obliterated by the construction of the freeway to Ojai. The Fosters would continue their endowments to the county. The financing of the Buenaventura Hospital, later named the Foster Memorial Hospital (now Community Memorial Hospital), and the creation of the 65-acre Seaside Park lying along the ocean shore, also known today as the Ventura County Fairgrounds. The Fosters personally worked to have other public parks established in the various sections of the county. They were interested in the beautification of the parks and highways. 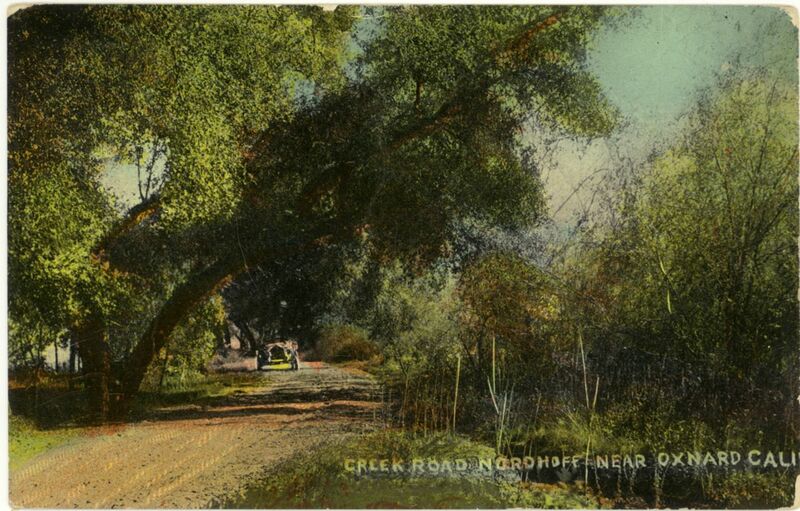 Many of the tree-lined highways in Ventura County were started by them. I’m a Park Ranger with the “County of Ventura” Parks Department. I’ve served in this capacity for pushing 40 years. Camp Comfort is one of the parks I patrol. 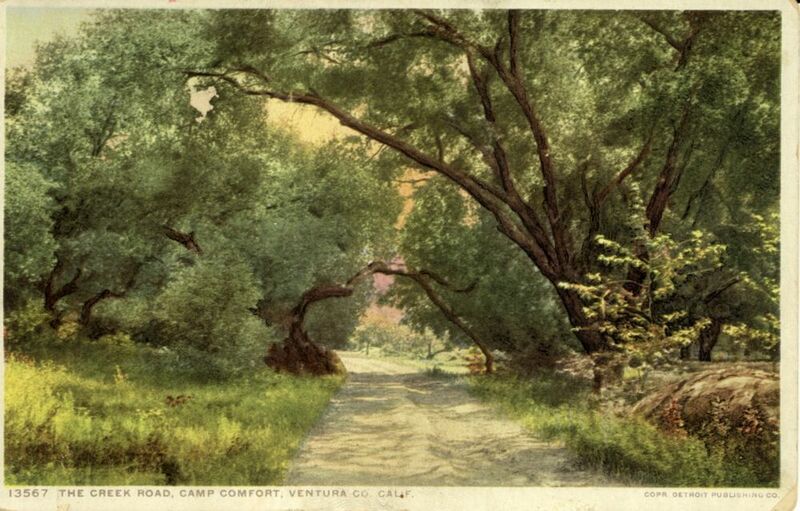 I’ve heard that Camp Comfort got it’s name from the fact that the area has always been a favorite camping area since the settlement of the Ojai Valley. Therefore, the “Camp” in Camp Comfort. But, I’ve heard a different reason for the word “Comfort” than the reason Mr. Mason has given in his wonderful story. Before Highway 33 existed, the main way from Ventura to Ojai in the early days was via dusty, twisty, Creek Road that had numerous creek crossings. Travelers would stop at Camp Comfort, which was just outside Nordhoff (now, Ojai), to freshen up before making the final stint into town. They would use the outhouse (toilets), known in those days as a comfort-station, at Camp Comfort. Hence, the “comfort” in comfort-station wound up being combined with “camp” to yield “Camp Comfort”. Though, I”ll bet Mr. Mason’s reason is the accurate reason. As Mr. Mason stated, Camp Comfort became the first county park in 1904. The second county park created was Eugene T. Foster Memorial Park in 1906. These two parks were administed by a different “County of Ventura” department before the creation of the Parks Department in 1914. Actually, the Parks Department was originally named the “County Board of Forestry”, but, nevertheless, this year (2014) is the 100th anniversary of the “County of Ventura” Parks Department! I am trying to have a family party at foster park by the baseball field anyway to get info or what rules are other than closes after dark. Several years ago, the Ventura River cut into and eroded much of the softball field’s outfield which left the area too small. So, what was left of the softball field was converted to a large lawn. Phone the Ventura County Parks Department reservations and information line at (805) 654-3951. I hope you and your family have a terrific time! This story states, “a small settlement developed just outside the entrance to the park and became known as the town of Foster Park” and “the whole town was obliterated by the construction of the freeway to Ojai.” I think I was about 15 years old when the town was demolished, but I’ll bet a lot of people have never seen the town or even know it existed. But, now you’re in luck should you want to know more about that little community! Gwen Alferes lived in the town when she was a girl. Gwen has just authored a book titled “FORGOTTEN FOSTER PARK” which has numerous photos of the town and surrounding areas, plus lots of written information. The book has just been released and is on sale in just about every place “Arcadia” books are sold. Buy a copy. You won’t be sorry! Tell us the story of Foster Bowl. Many of us have memories of playing in the bowl as kids while our families were there at the park BBQ’ing. We used to tell stories about it being haunted! Thank you for the compliment of “Master Ranger”, but I’ve simply acquired a lot of knowledge about the Ventura County Parks Department’s facilities in my almost 41 year career with the department. You, and others interested in learning more about the Foster Park Bowl, should obtain a copy of “The Ojai Valley Visitors Guide” (Summer 2015). When you do, go to page 52 for a wonderful story about the Foster Park Bowl. The title of the story is “FOSTER CARE — What’s next for one of the area’s forgotten gems?” written by Bill Warner. Mr. Warner has included several fine photos too. And, you’re right…….there are many stories about the facility being haunted. Though, it’s my opinion that these stories arose because the Bowl is canopied by thick oak trees that keep the area really shaded well, and due to the fact that the Bowl has been allowed to fall into a state of disrepair. Both of which lend to a “haunted” appearance. The story mentions that upgrading of the Foster Park Bowl is scheduled. Let’s hope so because this truly unique Ventura County Historical Landmark certainly deserves it! Thank you for the “Master Ranger” compliment, but I’ve simply picked up a lot of historical knowledge about the Ventura County Parks Department in my nearly 41 year Park Ranger career with the department. You, and others, interested in the Foster Park Bowl should obtain a copy of “The Ojai Valley Visitors Guide” (Summer 2015). Go to page 52 and you will find a wonderful story about the Bowl. The story is titled, “FOSTER CARE — What’s next for one of the area’s forgotten gems?” and was written by Bill Warner. Warner included several top-knotch photographs. The Bowl is canopied by many oak trees which keeps it in constant shade. Unfortunately, the Bowl has fallen into a state of disrepair. It’s my opinion that the dark shade and run-down facility lend to a “haunted” feeling for some people. It’s mentioned in the story that the Parks Department has scheduled the Bowl to be refurbished. Let’s hope so. This unique and designated Ventura County Landmark deserves it!